What is RACZ Caudal Neurolysis or Epidural Neurolysis? 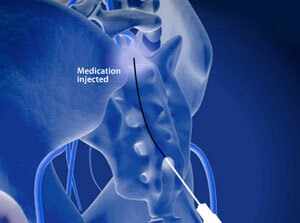 RACZ Epidural Neurolysis is an injection (or series of injections) into the spine, as therapy for chronic back pain. The injection is repeated 4 times during the 2 day in house treatment. Back pain is complex and has many causes. Experience of interventional pain therapy for chronic back pain has shown that the pain is often due to a build up of scar tissue either from injury, disc herniation, or previous back surgery. Racz Epidural Neurolysis can avoid the need for spinal surgery in many patients with chronic back pain and sciatic pain. The innovative Racz Catheter treatment is still considerered "experimental" by the medical community. The declared principles of adhesiolysis, enzymatic scar reduction and osmotic reduction of pressure are the ongoing subject of intense research and discussion. This injection treatment has the potential to provide immediate and significant long term relief of chronic pain and discomfort in the lumbar spine, without the need for spinal surgery. Racz Epidural Neurolysis is effective in relieving lower back pain and radiating sciatic pain. The Racz Catheter was developed in 1982 by the Texas anesthesiologist and pain specialist Prof. Dr. Gabor Racz and named after him. Catheter is a procedure where a tube is introduced into a body cavity. Neurolysis is the relief of pressure of any kind on a nerve. Caudal means "near the tail", which is the opposite end of the spine to the head. Epidural means inside the central nervous system (the spinal cord forms part of the CNS). There are no blood vessels inside this cavity. Epidural endoscopy is effective in cases of fresh spinal disc herniation. Depending on the location of the herniation, the size of it can be reduced quickly by the injection of a 10% saline solution into the surrounding area. The reduction in volume and corresponding reduction in pressure, accelerates the natural healing process, which would otherwise be delayed over the course of many months. 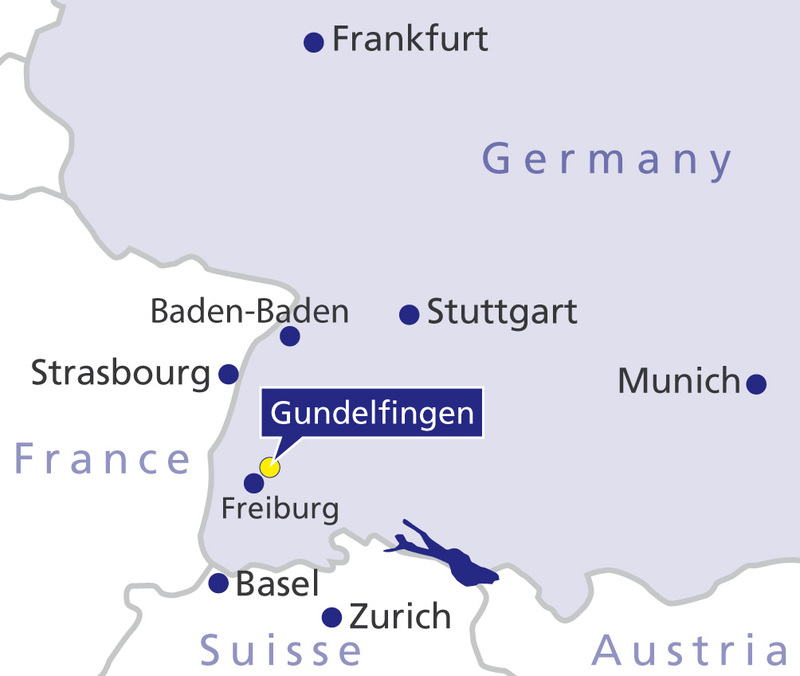 At the Gelenk-Klinik, Racz Epidural Infiltration has been proven as an effective alternative to the endoscopic or microsurgical removal of a fresh disc herniation. After a thorough diagnosis, we can advise on the most effective treatment options, for your particular case of spinal disc herniation. There are a number of causes of severe sciatic pain radiating down into the leg, or even into the foot. The most common is lumbar disc herniation. In this case, Racz Epidural Neurolysis, offers immediate pain relief, without the risks of open, microsurgical spinal surgery. A key benefit of this approach is the absence of soft tissue trauma: Racz Epidural Neurolysis saves patients from surgical soft tissue trauma in the sensitive vicinity of the spinal cord. The probe enters the space inside the spinal canal only through the skin and natural openings at the base of the spine. In addition to Racz Epidural Catheter as a treatment option, it can also be used as a diagnostic tool. The probe can be used to guide instruments including an endoscopic camera of only a few millimeters diameter, within the epidural space of the vertebral spine, to visually inspect the cause of back pain. This provides a direct diagnostic insight, revealing the location of painful inflammation, disc herniation, stenosis and nerve compression. This diagnostic insight is of crucial importance: It allows the visual inspection of the spinal canal, without the need for spinal surgery. 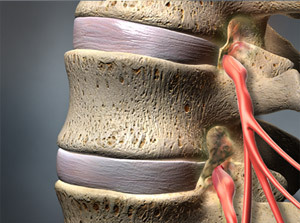 Disc herniation: leading to nerve compression and chemical irritation of nerve roots. Radiculopathy: painful irritation of a nerve-root in the spinal cord. Scar tissue: formed around a nerve through injury or after spinal surgery causing chronic pain. How can your doctor establish, if the Racz Epidural Infusion treatment is right for you? This pain therapy is only recommended in cases of severe, chronic pain. In order to qualify for selection for Racz Infusion, patients must have at least a three month history of unsuccessful, conservative treatment, for back or sciatic pain. In many cases the Racz Infusion can also help after a successful micro-surgical nerve decompression as this surgery can leave the spine with painful surgical scarring, or irritation in the vicinity of the spinal cord. 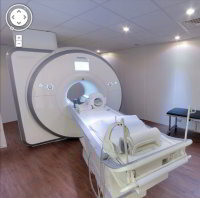 MRI-imaging can provide evidence of nerve root irritation. For safety reasons, at least six weeks should be allowed between the most recent epidural injection and the RACZ Catheter. RACZ Epidural Neurolysis is usually performed as a procedure under local anaesthesia, with the patient lying face down. Risks associated with general anaesthesia are avoided. This is of particular significance because the infiltration treatment is repeated four times within two days during a normal course of treatment. The treatment is performed as an in patient procedure. During this time the catheter (tube) stays in place. The anaesthesia numbs the skin and deeper tissue so that the procedure is painless. From left to right: 1. Insertion of the catheter (tube) up to the herniated area of disc. 2. Application of medication and infiltration. 3. Dehydrated and shrunken disc as a result of infiltration with 10% saline solution. A neurosurgeon injects a local anaesthetic at the base of the spine (at the "sacral hiatus" in the tailbone). With the help of a probe, a tube is guided into the epidural space and on to the site of the pain, without the patient feeling any discomfort. A mixture of anti-inflammatory and anaesthesizing medication is injected into this space. This provides gentle sedation, pain relief, reduces swelling and relieves painful pressure on the sciatic nerve. A natural enzyme contained in the solution dissolves painful scar tissue and agglutinations (adhesions) around the spine . The physician monitors the exact location of the probe via X-ray control throughout the operation. The procedure takes between 30 and 60 minutes. According to our treatment protocol, it is necessary to repeat the injection 4 times within 2 days while the patient stays at the Gelenk-Klinik as an in patient. The catheter may be kept in place during the treatment. Sometimes the injection will be repeated after a few months, if more scar tissue needs to be dissolved. When will your spine specialist look for alternative treatments? Please contact us for a thorough investgation and to discuss other (preferably endoscopic), treatment alternatives. The Racz Catheter is a surgical procedure that completely avoids soft tissue trauma. It uses the natural openings in the spine in order to access the epidural space. As a result it is the least invasive form of surgical pain therapy available. This treatment is particulary helpful after poor results from micro-surgical treatment (open spine surgery). Depending on circumstances, up to 50% of patients feel no sufficient pain relief following micro-surgery, even though the underlying problem should have been addressed. The area around the spine is particularly vulnerable to surgery due to its high density of nerve tissue. Scar formation following open spinal surgery (microsurgical spine surgery)can lead to chronic irritation and loss of function, thus creating a secondary problem. In these cases the resulting scar tissue can be removed by local application of a scar dissolving enzyme to the affected nerve root. Potential: Racz Epidural Neurolysis can treat many cases of Spinal Disc Herniation and other spine problems where physiotherapy or even spinal surgery has failed to sufficiently relieve the pain. Limits: Severe structural defects such as advanced spinal disc degeneration with bone spurs, spinal stenosis, spondylolisthesis, degenerated discs require another (preferably minimally invasive (endoscopic) procedure to directly relieve the problem. Please contact us to discuss effective and minimally invasive treatment options. Careful application of hygienic routines are crucial to avoid complications after Racz Epidural Neurolysis treatment. There is clear clinical evidence that the Racz Epidural Neurolysis is effective in cases of radiculopathy, that is nerve root related chronic back pain.